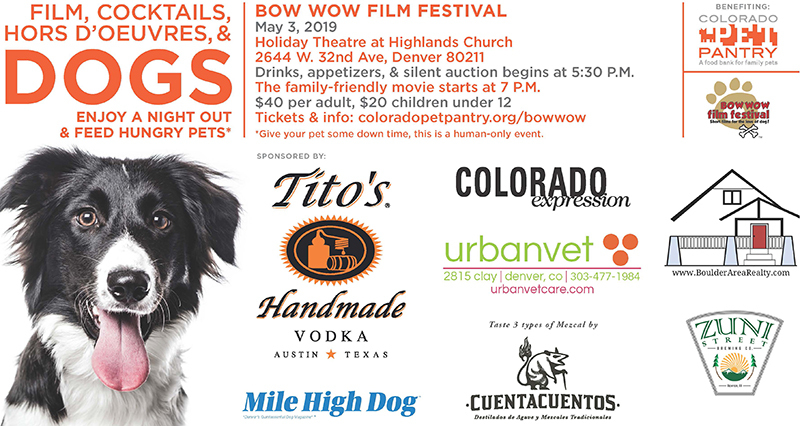 Join us May 3 for our 4th annual Bow Wow Film Festival at Holiday Theatre at Highlands Church North Denver for a fresh movie medley of canine short films, two drink tickets including cocktails by Tito’s Handmade Vodka, a tasting flight by Cuentacuentos Mezcal, and Zuni Street Brewing Company, hors d’oeuvres, and a plentiful silent auction. Don’t miss the event that sold out in 2018. All proceeds benefit the Colorado Pet Pantry pet food bank. We need you there so that we can feed more pets in 2019. Thanks for supporting us! Interested in sponsoring or donating items to the event? We need monetary sponsors, silent auction items, food/drink donations, and goody bag items. 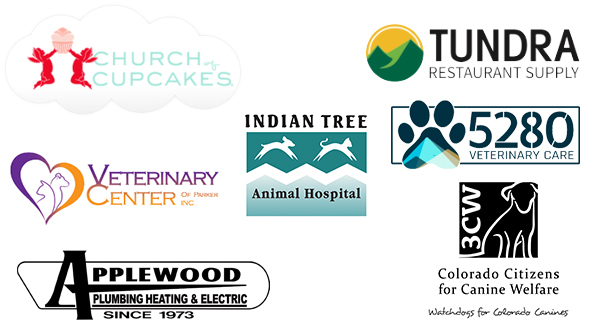 Download the Sponsor Packet, email us, or call 720-441-3111. Thank you!